I left work late, then procrastinated and finally it was late and I didn’t much care for going outside to run. Opting for the treadmill I pulled up the random program and upped the incline and thought it would be easier than running outside. I was wrong. The treadmill is hard and draining, not physically but mentally. I’m really working on my mental game. Another jaunt from work along the waterfront trail around a loop around Discovery Park, I tried in vain to meet up with friends, but to no avail. Not even my phone wanted to come along as it died mid run. I stopped by Seven Hills Running Shop to recharge, no doubt interrupting Glenn Tachiyama’s 30 minutes between when the shop is officially closed and the group run starts (sorry Glenn, but thank you for letting me in). With enough power to make it home, I left before the 7:30 Team7Hills Disco Group Run and found myself calling it quits at Whole Foods. Also, my iPhone is terrible at tracking vert. Either that or I jump really high with every step I take. Sometimes 8 miles is just 8 miles and nothing more. Five years ago that was something I never even thought could be an actual thing I would seriously type. After sitting in Mike’s car for 5 hours, it was time for a short little shake out run. Time for bed and an early morning the next day. True to form, the race was drenched in sun and went up a mountain. 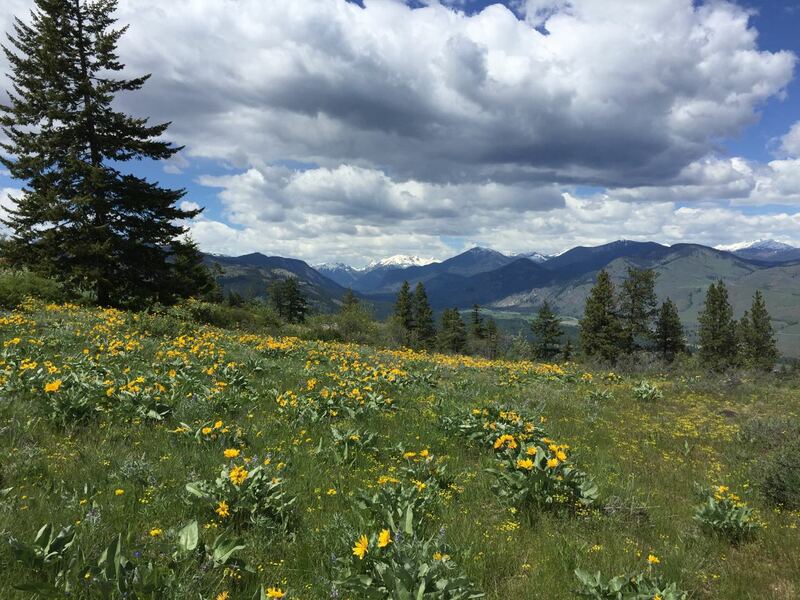 Flanked continuously with Methow’s “sunflowers” and silky purple lupines, we basked in epic valley views anchored by snow capped mountains while running on sublime fast singletrack. In between the sensory overload my mind struggled to remember this was actually a race until the obligatory classic end of race @RainshadowRunning long steep climb of exposed Patterson Mountain. From the top, we turned for one last panoramic vista and firing on all cylinders, gravity prevailed and I bounded down to the finish to collect the coveted race director congratulatory high five. After imbibing on local craft cold tasty suds and wood fired pizza, I did the math between the mileage I had planned for the next day, the time I had already committed to volunteering for the Sun Mountain 25k and the remaining time I would have left in the day and decided it was best that I go out and knock out some of the miles before dinner so I’d be able to stick to my plan. It was still hot out and the miles I thought I was burning were a full actual 3 minutes a mile slower and I was dead pooped at the end of the day. Mike and I explored new trails, switchbacking straight up the ‘locals’ trail for the picturesque panoramic aerial view down the valley before meandering back down to the valley floor by Phun Rock. The obligatory road side run back to the Mazama General Store to refill on liquids, we completed the MVCT loop and finished just in time to say thank you and goodbye to Ken and Debbie for hosting us for the weekend. A great end to the week. 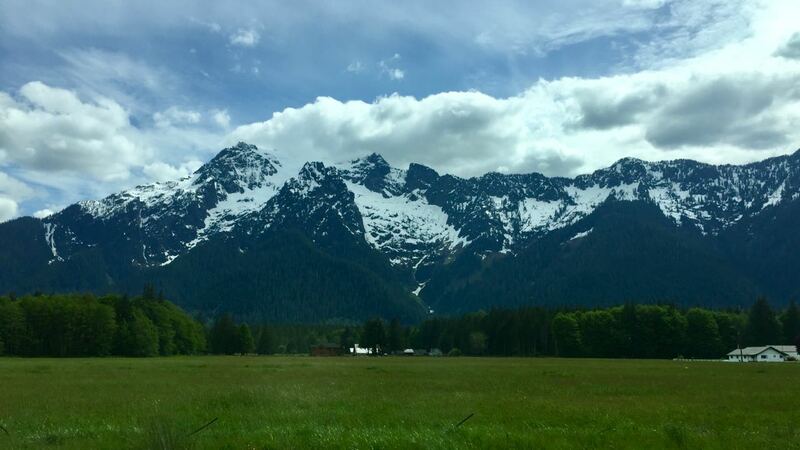 Whitehorse Mountain in the Boulder River Wilderness. 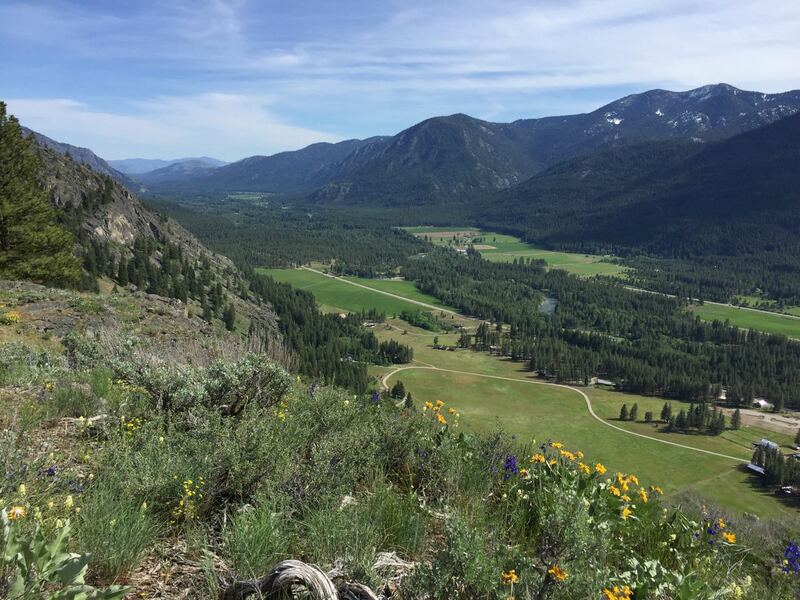 Methow Valley “sunflower’s” (actually balsamroots) were out in full force for the Sun Mountain 50k. Spokane Gulch trail above Mazama.